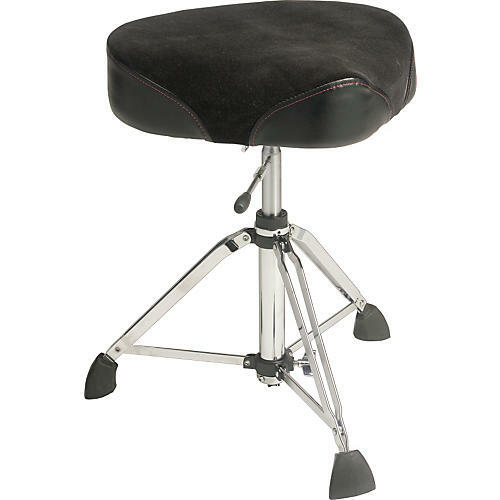 The drummer's choice for quick height changes and superior comfort! The Gibraltar Hydraulic MOTO Throne has a large 17" plush Cordura MOTO-style seat that provides great comfort and player support. The hydraulic tube height adjusts from 19-1/2" to 26" with an easy-to-reach adjustment handle. The double-braced throne tripod features Gibraltar's exclusive oversized Super Foot for a solid foundation base and folds down neatly for transport. The Gibraltar Hydraulic MOTO Throne is distinguished by easy hydraulic height adjustment and royal comfort.